On December 5th, from 6-8pm, celebrate your right to imbibe at a Repeal Day Cocktail Party! Hosted in the elegant Peacock Alley at the Waldorf-Astoria hotel, the night will include four different cocktails crafted by Frank Caiafa, cocktail expert and head of Peacock Alley’s beverage program. The drink list will be exclusive to this event and include recreations of classic cocktails downed in backdoor speakeasys, as well as modern concoctions inspired by their Prohibition predecessors. Light appetizers will be provided by the Waldorf-Astoria kitchens. Caiafa will also be on hand to speak about Peacock Alley’s unique history, and the Waldorf-Astoria’s link to the Prohibition era. Scotch Whisky expert Kristina Sutter will discuss the history of Prohibition and how it came to a close. 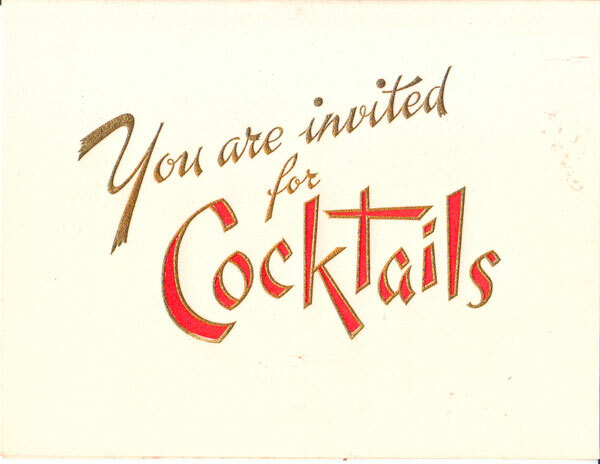 So come tip your glass to the end of Prohibition and join us for historic cocktails in an incomparable location. Appropriate cocktail attire is required.